Not the best well done but there are plates done in the era not in modern times. 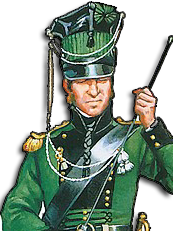 Flanker of the guard militia of the capital [Amsterdam], October 29, 1817. Dutch (Left) and Belgic (Right) Light Infantry. Notice the Dutch being issued Austrian style Shackos and the Belgians British. One final one for the Netherlands. A favorite of mine. 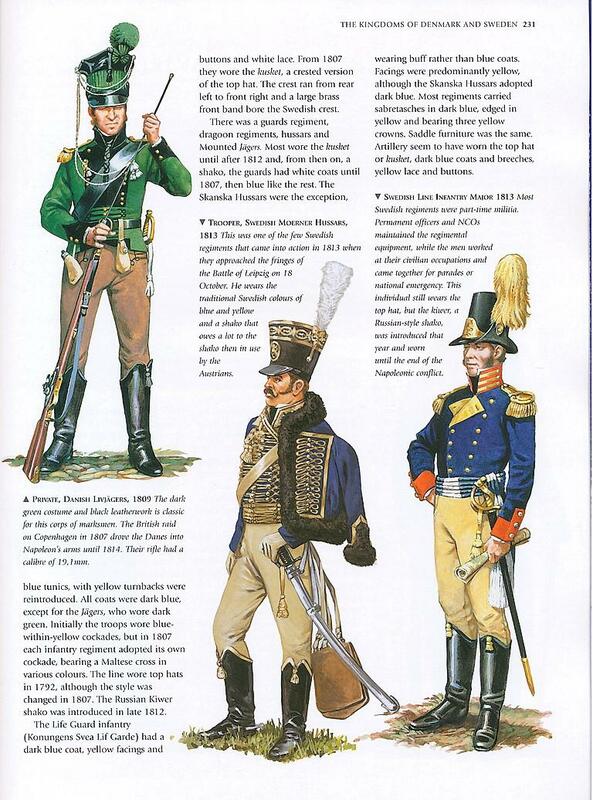 Non regulation French Light Infantry uniforms on the Spanish Campaign. Looks like a real life Sharpe. Oh the irony of that name. I'm 100% positive that no British officer would walk around like that. Well, the trousers, maybe, if the guy is poor enough, but just wear a brown jacket cos #yolo? They were fááár too posh for that. They had servants to keep the uniforms in shape. Do you have any plates of Swedes, Millander? Very, very nice. Thanks a lot man!